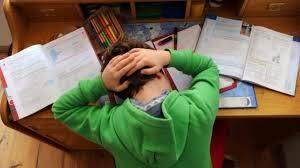 The board exams are coming fast and its causing everyone to go under constant pressure and stress. May it be the CBSE board or your local board all students are studying and are doing their best to pass the exams. Despite the preparation, students still get anxious and stressed by just thinking about the fact that will they pass. Tip 1 is Revision: This is one of the best things you can do before you take an exam, don’t just read it try to break it down and understand in a better way. Focus more on the key points and the important topics that were included in your syllabus. Tip 2 is Sample Paper: If you are a student who is going to take the board exams this year, make sure you answer at least 1 sample paper every day, this will help you enhance your skills and give you an idea how the exam will go. Tip 3 is Drink Plenty of Water: Everyone is stressed about their exams and often students forget to take care of their health. The number one thing that students forget is to drink water, try to drink at least 8-12 glasses of water every day and you will see the difference. Tip 4 is Mediation: A couple of minutes in silence can help you reduce your stress, by meditating you will find peace that will help you fight against your anxiety and stress. Tip 5 is Eating Healthy Food: By eating healthy food, your body gets proper nutrients that can help you store good information, certain types of foods and vegetables can also help you fight against your stress and anxiety. Tip 6 is your Admit Card: Before your exam starts, make sure you arrange your bag and keep everything you need inside it. Keep your admit card with you, this is a simple step that can help you save a lot of time and give you a couple of extra minutes for studying. Tip 7 is getting enough Sleep: A lot of students don’t get enough sleep when their exams are approaching fast. This is one of the main reasons why most students get anxious and stressed, their body cannot handle it all together and they end up having a bad exam. A good sleep before your exam can give your brain enough time to rest which will allow it to function better.